Happy b-day Toti!. . 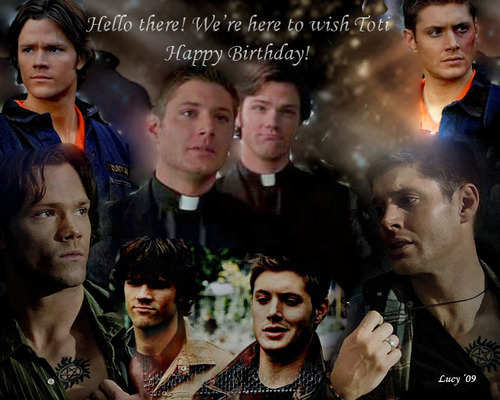 HD Wallpaper and background images in the Supernatural club tagged: supernatural dean winchester sam winchester fan spn.